The best things come in threes as they say. 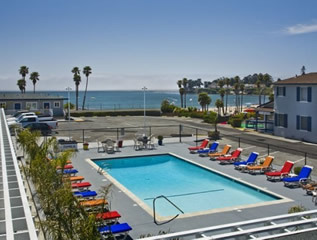 To make sure you get the best, check out our sister properties here in Santa Cruz and Morro Bay! Perched atop one of the most spectacularly scenic vantage points on the entire Santa Cruz coastline, Beach Street Inn and Suites offers guests breathtaking views of the entire Monterey Bay. The view from many of our rooms look directly over two of the most popular Santa Cruz Beaches; Cowells Beach and Main Beach. This 48 room property has both single kings for 2 or suites for up to 6! Each room features iPod docking stations, large flat screen TVs, complimentary wireless internet and phone calls, a small refrigerator and microwave. 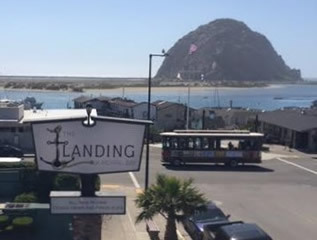 Recently renovated, each guest room offers the best views on the property so you can look out your window to the ocean and Morro Rock. Each room features a flat screen TV, a cozy fireplace, complimentary wireless internet access and a refrigerator and microwave.